Nigeria could win the 2019 African Cup of Nations: Kenneth Omeruo. Super Eagles central defender Kenneth Omeruo has opined that the Nigerian team has what it takes to lift the continental prize despite her youthful look. Nigeria’s last success came in 2013, in a tournament where Omeruo made his competitive debut for the Super Eagles but subsequently failed to qualify for both the 2015 and 2017 editions. However, Genort Rohr has ensured the Super Eagles make it to the continental showpiece for the first time in 6 years, after finishing top of the group ahead of their last game against Seychelles. Omeruo having seen Nigeria narrowly miss out on qualification in the group stages of the World Cup has backed the country for continental success while backing Arsenal forward and fellow countryman Alex Iwobi to lead the Super Eagles to success. “We have a big chance because we have got some quality players coming up. This set of boys, they are good, young and the coaches are good. Anything can happen now for us. While still on the first of his six loan spells away from Chelsea, Omeruo was at ADO Den Haag when he was called upon for his national team debut. 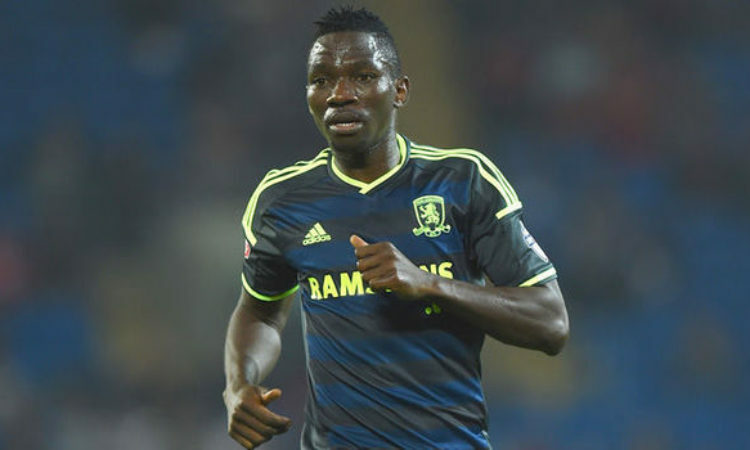 Then aged just 19, Omeruo lined up as Nigeria faced a star-studded Ivory Coast in the quarter-finals of the AFCON. The Super Eagles ran out 2-1 winners in that clash and Omeruo managed to shut out Didier Drogba in the process. It was a match that was the making of Omeruo’s reputation in Nigeria and the 25-year-old spoke of his time facing the Chelsea legend, who has only recently retired from football. “The first thing I noticed is that he is strong. Wow, he is strong,” Omeruo added. “I remember going up for my first header against him and I was put on the floor. “It’s a happy memory playing Drogba because it was one of the games that got me known in Nigeria especially – I was known as the defender that stopped Drogba.